Who says wreaths can’t be made with fish and seaweed? 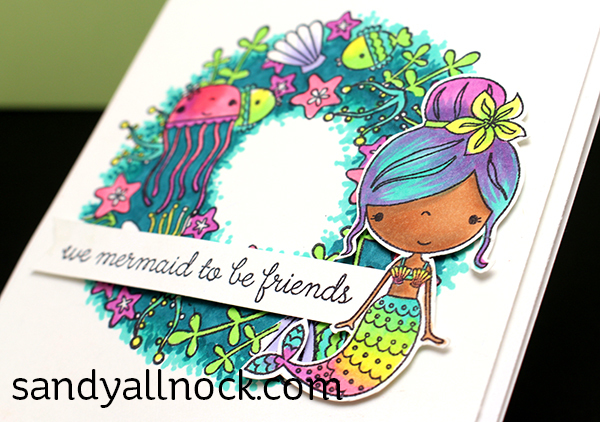 🙂 In today’s video, I’ll show you how I colored the mermaid from Reverse Confetti…and the delicate stamped wreath behind it. Watch the video below, or click HERE to see it in HD on YouTube. 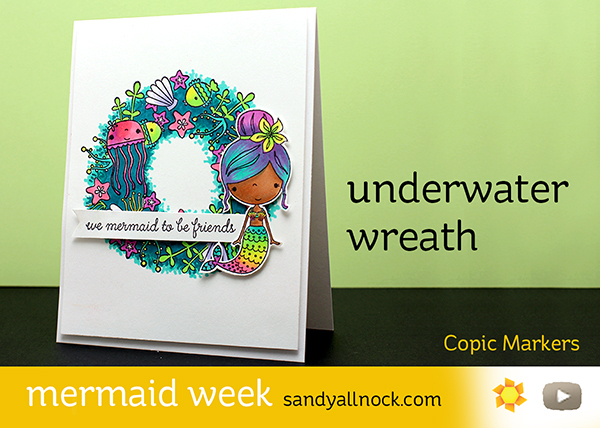 I would have never thought about a sea wreath. It’s really adorable. Thanks for the inspiration Sandy! Love her rainbow tail! What a cute wreath. I’ve always thought a seaside themed Christmas would be beautiful!